This truly is a work of art. 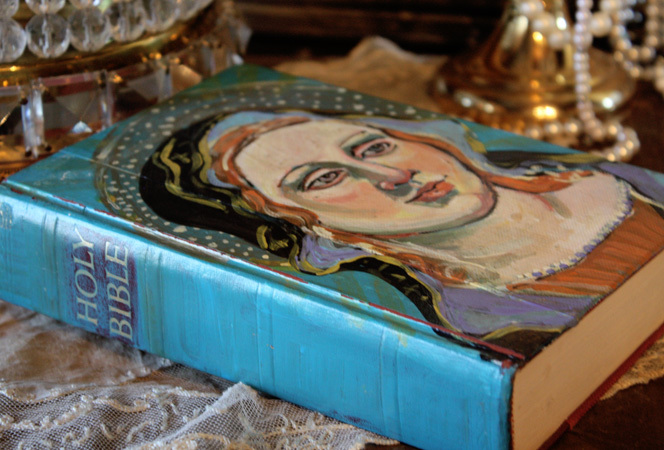 A stunning handpainted bible painted with the holy mother on the front. 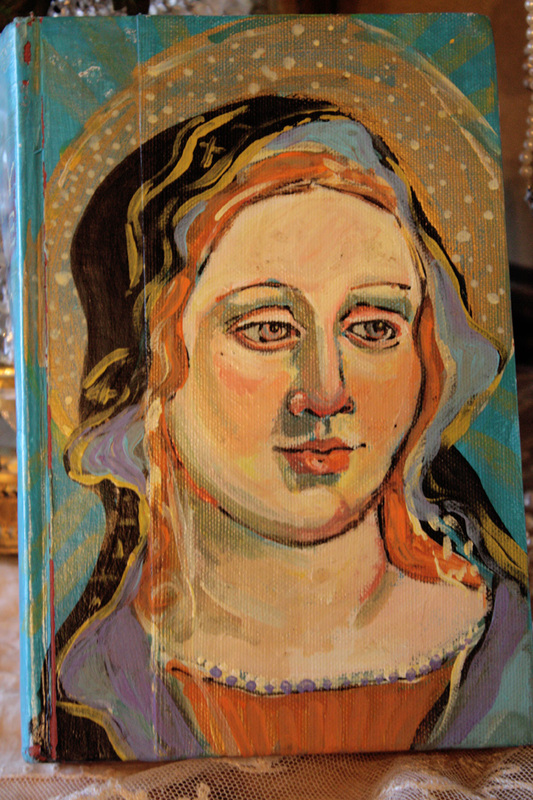 Handpainted by an artist in 2001, and treasured in a very upscale estate until they were passed over to us. This would be great used as your study bible, so inspirational and also very decorative. 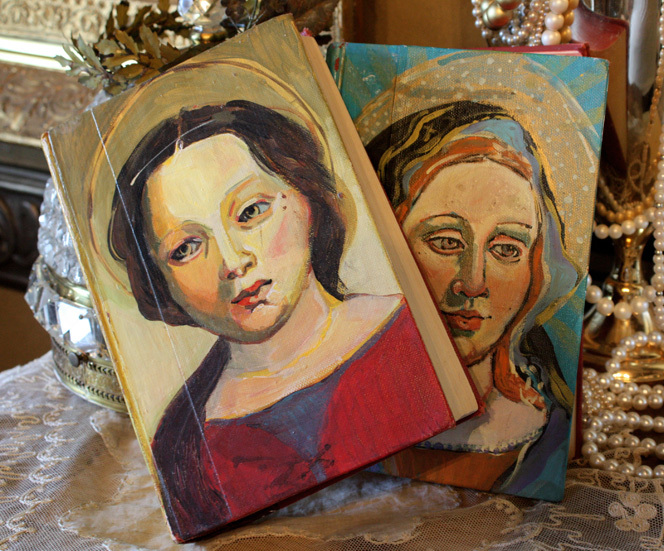 Perfect for setting among your religious collectibles and shrine.